Hostess-lovers throughout the country will be asking “Hey, where’s the cream filling?” after the company was forced to shut down operations following a nationwide strike. Hostess Brands Inc. announced today that it has filed a motion with bankruptcy court to start liquidation of the company immediately. This occurred after three days of company-crippling labor strikes and the closing of three of its bakeries on Monday, including one in Cincinnati, after a nationwide strike by the Hostess bakers union. As a result, most of its 18,500-member workforce will be laid off. On November 14, the company warned that it would be forced to liquidate if sufficient employees did not return to work to restore operations by November 15at 5 p.m. EST. On the night of November 15, the company determined that a sufficient number of workers had not returned to work to enable the restoration of normal operations. As a result, the company was forced to liquidate, selling all of its assets and closing its business. The strike was organized by the Bakery, Confectionery, and Tobacco Workers & Grain Millers union, which accounts for 5,680 Hostess workers or approximately 30% of the company’s total work force. The shutdown means the closure of 33 bakeries, 565 distribution centers, 5,500 delivery routes and 570 bakery outlet stores throughout the U.S. 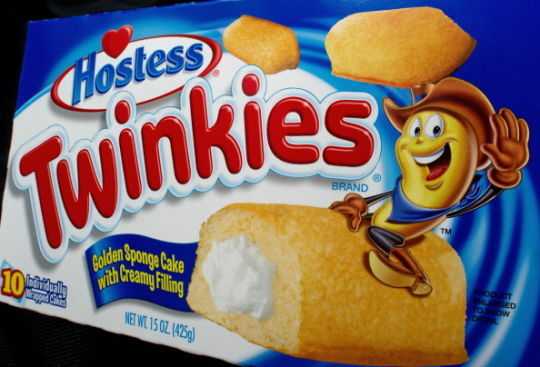 Rumor has it, Twinkies last forever; so stock up while you still can!